A smartphone app that helps you 'bunk wisely'? Sounds a little strange, doesn't it? 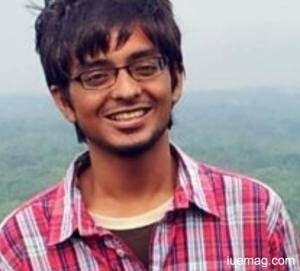 But for 20-year-old Abhishek Bhaduri, it was a way of helping students who could have lost an entire year due to incessant and unplanned bunking. Presently available only on Android phones, the app allows students to register with their college details. The app already has preset timetables of colleges. Students can enter the classes and the app alerts them when they are low on attendance for a particular lecturer's class or subject. Bhaduri, the co-creator of the app (and Apps2Eaze, the company that owns the app) said, "I was doing my first year of engineering at the Manipal Institute of Technology and as the Class Representative, it was my responsibility to help students. I noticed that many students were getting detained due to attendance shortage. Detention results in students not being allowed to take exams and even losing a year, which results in causing depression and in some cases, students resort to drug and alcohol abuse. When one of my friends lost a year, I decided that I needed to find a solution. That's how Bunk Wisely was conceptualized." The app can be used only by students of Manipal University, but Bhaduri hopes to cater to students from colleges across the country by January 2014. The app also has a feature where students can rate their professors. The rating algorithm factors in four aspects - how good a professor is in class, how effective a professor is outside class, how focused a professor is on conceptual building and an overall rating. Of course, a student's attendance percentage has to be high for their rating to be factored in. "We wanted an equal amount of accountability with both students and professors," said Bhaduri, explaining the need for the rating feature. Bhaduri explained why they are testing the app with Android. "Android's market share amounts to close to 90%, which is why we started with it. We plan to release an iOS version by September this year and the Windows version by the end of the year. For those who don't have smartphones, there is a web version on our website www.bunkwisely.com"
Bhaduri and his associate Daniel D'Souza (chairman and co-founder) started their company Apps2Eaze last year. Apps2Eaze is a registered company, operating from the MUTBI (ManipalUniv Tech Business Incubator), in Manipal. Their aim is to reduce paperwork and encourage usage of smartphones and tablets. Apart from D'Souza, Bhaduri was helped by Mayank Khandelwal and Terrel Lewis who assist with marketing, Nikhil and Shivam who are Android developers and Vivek who is a web developer. Bhaduri and D'Souza's company has a team of 20 members working on mobility solutions. They plan to hire more people and expand soon. Bhaduri and his team participated in a state level technology competition in Manipal and won Rs 1,00,000 there. They spoke to a couple of investors in Manipal and managed to get funded. Bhaduri said that he wouldn't be comfortable discussing details of the funding. App2Eaze is funded and into product development. However, Bunk Wisely is the app that is getting Bhaduri and his team a lot of attention. We wondered how they plan to monetise the app. "We wish to engage users first," said Bhaduri. "There needs to be a critical mass before we can think of monetising. Once we have good numbers, we can look to create a paid version of the app, with advanced features." Keeping his plan to reduce paper usage in mind, Bhaduri wants to enable users to share notes and pictures via the app. In the days to come, Bhaduri also wants to create a Bunk Wisely version for working professionals. But he admitted that he would rather focus on the students version and think about an office-centric version "if and when the need arises." Any facts, figures or references stated here are made by the author & don't reflect the endorsement of iU at all times unless otherwise drafted by official staff at iU. This article was first published here on 26th September 2014.